Jimmy Wu (La Mesa) - Book Appointment Online! 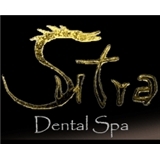 Here at Sutra Dental Spa, we offer only the best dental care to our customers. Our mercury free dentistry and Cerec dentistry techniques will give you a smile you can feel good about. Dr. Jimmy Wu is a pioneer of the Dental Spa concept. Dr. Wu is among the most-respected and experienced Dentists in San diego.